Clinic Synopsis: The objective of this clinic is to provide music educators with specific techniques for teaching jazz improvisation during full jazz band rehearsal or in non-jazz combo settings. The notion that jazz improvisation is not taught because “we don’t have a combo program at our school” is dispelled and ideas are presented to enable the teaching of jazz improvisation as a normal part of every large group rehearsal, which enables students to play and create in a non-threatening environment. Clinician Biographical Information Ronald Carter, former director of the world-renowned Northern Illinois University Jazz Ensemble and former Director of Jazz Studies, is continuing to educate students in jazz education and performance at university, high school and performing arts schools across the country, South America and Canada. He has presented workshops as guest conductor, artist, clinician, or adjudicator at numerous universities and colleges throughout the US, and has performed, conducted and presented clinics at regional, national, and international conferences, and directed all-state jazz bands in Illinois, Indiana, Rhode Island, Missouri, Texas, Wisconsin, Colorado, Iowa, Maine, Kentucky, Vermont, Arizona, Kansas, Arkansas, Tennessee, South Carolina, North Carolina, and Washington. He has been asked to direct the Honors Jazz bands for the state of Georgia and Massachusetts for 2017. 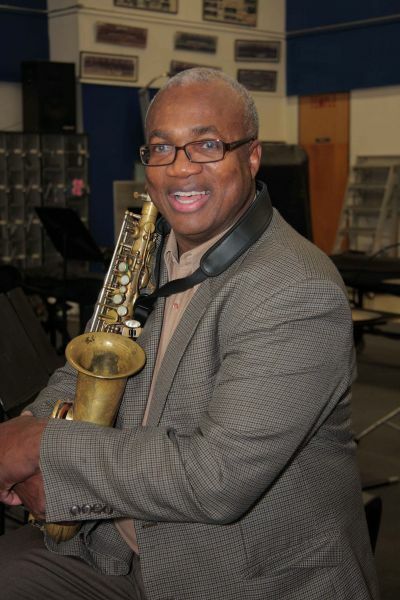 Carter worked 18 years in the East St. Louis School District as former director of the Lincoln Senior High School Jazz Band and performed professionally in the St. Louis metropolitan area as a freelance musician. He is currently an artist for Conn-Selmer and D’Addario Woodwinds (Rico Reeds). Carter’s current projects include International Consultant for the Essentially Ellington Jazz Competition; former Lead Artist for the Jazz at Lincoln Center Band Director’s Academy; co-author for “Swingin’ on the Bars” (Alfred), and co-author of “Teaching Music through Performance in Jazz” and “Jazz for Beginning Ensembles” (GIA).